I've said it before, I am a huge book worm. I've always loved getting lost in a story, an actual fiction story but once I hit college, I started loving memoirs and advice books. I enjoyed reading older people's stories and advice, it helped a lot while I was in college and while I was preparing to head off to school for the first time. Before I went away to school, I didn't know anyone who had gone away that I could turn too for advice and help. I didn't know about the blogosphere either so I didn't have any resources to get advice from. I'm huge on advice and hearing people's stories to form my own opinion on something. Maybe that's a bad thing but in this case, it was fine. 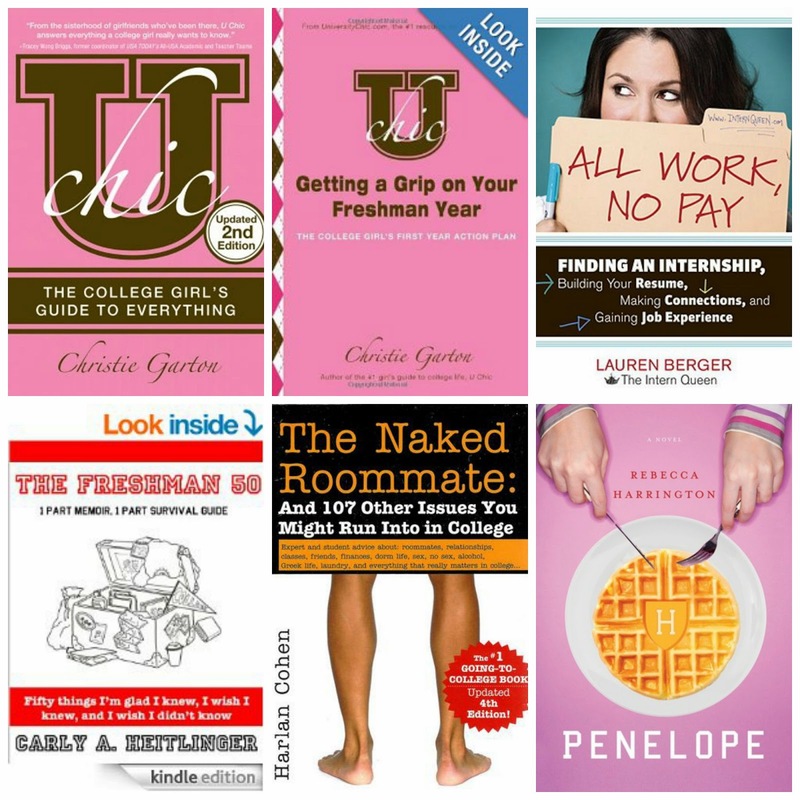 Over the past four years, for all types of situations, I've developed a little collection of "college books" that gave me great advice for transitioning from high school to college and also from year to year throughout my college career. //UChic: The College Girl's Guide to Everything: This was my true saving grace the summer before freshmen year. It's a real book, it's not truly sugarcoated and it gives real advice on real situations. It was my handbook until I started feeling like an actual college student and not a zombie walking around in someone else's life. Since I was a freshmen in 2010, they've updated the book and now have a bunch of different versions. I also used UChic's planner freshmen year and it was fabulous--I'm kind of confused why I didn't continue using it. Side Note: Check out this UChic Getting a Grip on Your Freshmen Year, sounds so cool and useful! //Penelope: This isn't an advice book but it's just such a fun, witty and clever novel about your freshmen year. I read this going into Junior year and it was just such a quick, fun read. It's a bit exaggerated but if you're in college mode, you'll enjoy it! //The Freshmen 50: By your own College Prepster, Carly wrote this book a few years back and it's part survival guide and part memoir about her freshmen year. I'll read anything Carly writes and it's pretty awesome. //Naked Roommate: I haven't read this book but I know so many people my freshmen year who did and they said it was pretty great. It's said to be the best selling college book for college bound freshmen so I'm sure it's worth picking up! 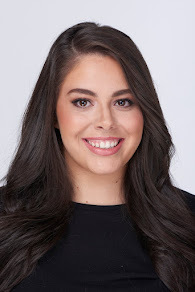 //All Work No Pay: This is Lauren Berger's (Intern Queen) first book all about how to get and balance an internship while in college. If you're a freshmen you probably won't need this book for at least another year but it's always good to be informed on what you should be doing to be advancing your career because that is the main reason you're in college.